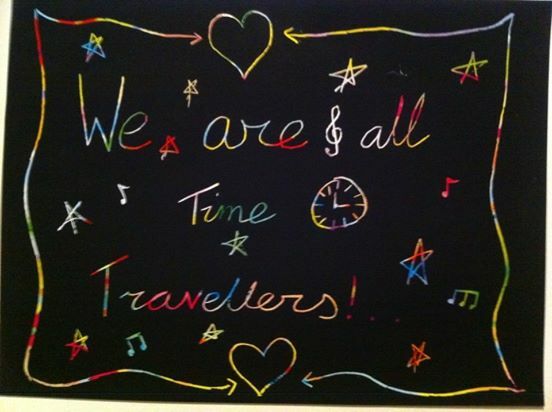 The above is a picture my youngest daughter drew one day and hung up in her bedroom. 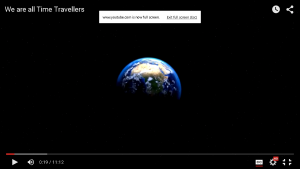 It prompted me to get involved in a new documentary, We Are All Time Travellers, which premiers online this week (November 2015). The film explores how re-visiting the past can be therapeutic and help us on our quest to Know Ourselves. Below is the press release and a link to the film – I hope you enjoy it and share it widely with those that could benefit from an expansion of consciousness. 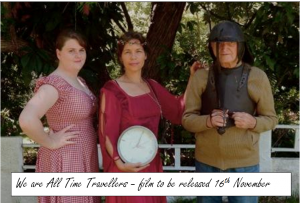 In the documentary, We Are All Time Travellers, premiering online this week (November 2015) a group of three hypnotherapists showcase how time travel into the past can help heal current mental health issues. Hypnotherapist Julia Chai said the film investigates an increasingly popular therapy called Past Lives Regression or Timeline therapy where hypnotherapists take people through the memory archives stored in their subconscious mind. “This method of time travel can identify and safely transform traumatic experiences from childhood, or past lives, that may be troubling people hugely in the present,” said Ms Chai. Click here to access the film by Jade Burdon, featuring Julia Chai, Karen Langford, Nicky Stafford and Tom Price. Ms Chai has used Timeline therapy to help her clients overcome panic attacks, self sabotage and irrational relationship patterns. Queensland University of Technology first year student in the school of creative industries, Jade Burdon, filmed and produced the documentary.